Randwick may be home to many beautiful Jacaranda trees, but they are not all in suitable location. Jacarandas can grow to 15m in height, with extensive canopies, often as wide as the tree is high. This is not good in a confined space, where buildings are in close proximity to the tree – or vice versa! Whichever came first, there comes a time when an experienced arborist will be needed, and we had no difficulty attending to this one in Randwick, stump and all. Another happy customer! 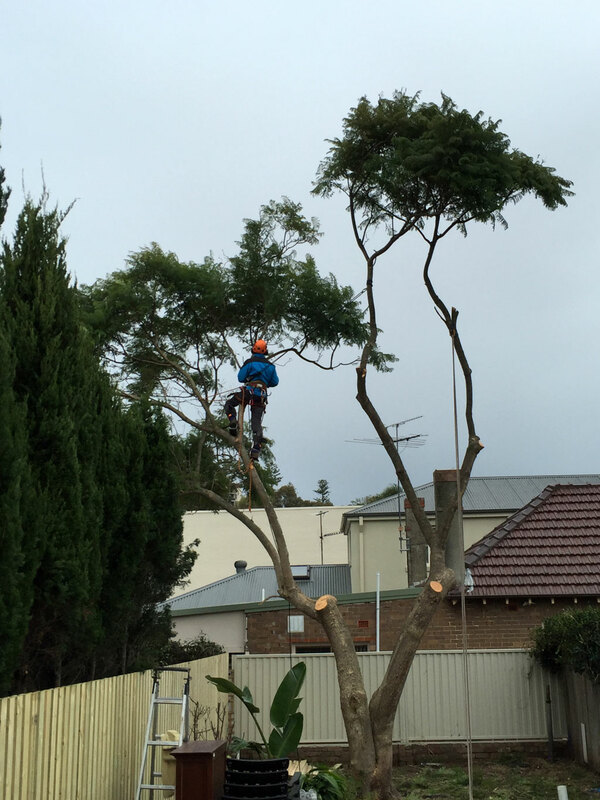 Action shot of the Jacaranda tree being removed by one of our amazing arborists. 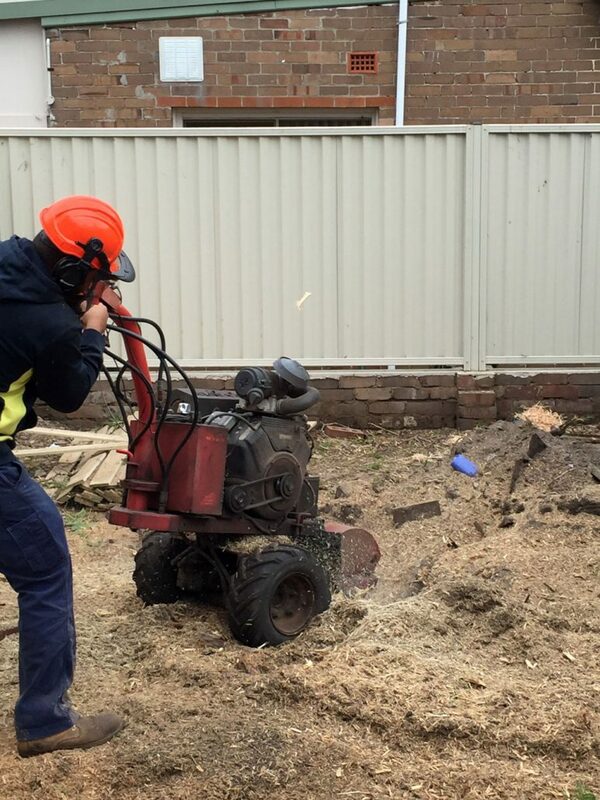 Grinding stumps is a tricky job. Got to be careful of pipes, and tearing your legs off.